Coming alongside in Aalesund during bad weather in 2008. Just finished watching the programme on our national broadcaster NRK1 about the last sailing of NORDSTJERNEN in Hurtigruten, from Kirkenes to Bergen. A fantastic programme, very touching...., and I can admit it just as well, it was very hard to keep the tears back, so there ran a couple or three down my cheeks. Thanks, NRK, for making this!!! If the new owner as much as 'curle one single hair on our grand old ladys head', he'll have to speak to a swarm of people...., and me!!! A fantastic program and tribute to the old lady... got to watch it again today (actually as we speak!). By the way; have you checked your mailbox lately, I mean the real life snailmail box...? As this is the only shipping forum I currently read, I would love to see a summary here... has the new owner received a positive reaction on the other forums? Negative? Do people think that Nordstjernen's future looks good with this owner, or do they have doubts? I will not name names or get involved in saying something I should not. In another, Norwegian, forum, someone proclaim to know the owner and his former projects. 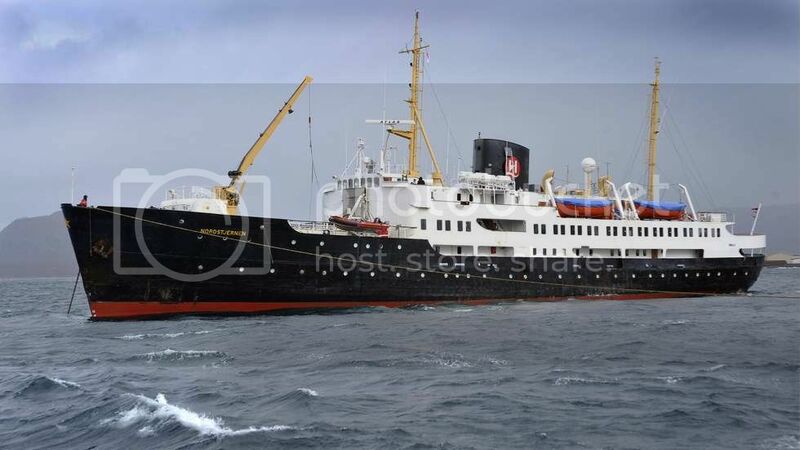 The "besserwissers" on that forum are very keen to see what will become of the Star, as they obviously are not satisfied with the owners other boat/ship preservation projects. So yes, the reaction on the other forum is negative and the ones who say they know the case has doubts. Now...., when all this is said or brought forward, the Star is owned by a group, the finances seems to be ok and the trip to Poland for upgrading and maintenance is performed under the strict supervision and in understanding of the Riksantikvaren (The Directorate for Cultural Heritage in Norway) which gave exemtion so that the ship could sail out of Norwegian waters for a time limited period. I personally belive it's all ok and that we will see the Star in Norway for many years to follow. Last edited by Sterkoder; December 23rd, 2012, 23:46. Well - we've just watched the programme too (a little behind the rest of you!). Wasn't that beautiful? Mrs PoloUK was emotional enough when she was watching folk she knew in Vardø, let alone at the end when we were both feeling very sad!! Seeing NX together with Finnmarken was somehow particularly moving. Considering how little NRK let us watch from overseas, this was a real Christmas present! !